WASHINGTON — The State Department is preparing to slap a multimillion-dollar fine on private military contractor Blackwater USA for shipping hundreds of automatic weapons to Iraq without the necessary permits. Some of the weapons are believed to have ended up on the country’s black market, department officials told McClatchy Newspapers, but no criminal charges have been filed in the case. The expected fine is the result of a long-running federal investigation into whether employees of the firm shipped weapons hidden in shrink-wrapped pallets from its Moyock, N.C., headquarters to Iraq, where Blackwater is the State Department’s largest personal security contractor. Since the arms shipment allegations first became public 14 months ago, Blackwater, which has received $1.2 billion in federal contracts, according to the Web site fedspending.org, has consistently denied involvement in illicit arms trafficking. However, the State Department found that Blackwater shipped 900 weapons to Iraq without the paperwork required by arms export control regulations, one department official said. Of that number, 119 were “particularly … erroneous,” he said. He and the other officials spoke on the condition of anonymity because the decision hasn’t been announced. Federal laws require obtaining a license before exporting military hardware, including automatic weapons, overseas. The State Department’s “resolution of export matters with other significant defense contractors, such as Boeing, L-3, Lockheed-Martin and General Dynamics has typically resulted in some payment” to the government, she said in an e-mail exchange. Blackwater last month announced what it billed as a major new initiative to ensure that the company complies with rules for exporting military hardware. 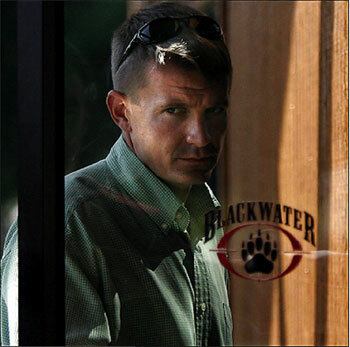 Blackwater said it created the position of vice president of export compliance and created a three-person independent oversight committee whose members include former U.S. Rep. Asa Hutchinson, R-Ark. The amount of the planned fine couldn’t be learned, but one State Department official said it was “way in the millions.” The official said the fine could be announced as early as this week. A second official, however, cautioned that it’s not imminent. Jay Greer, a spokesman for the State Department Bureau of Politico-Military Affairs, which implements defense export controls, declined comment. The weapons case became public in September 2007 as part of a House Oversight and Government Reform Committee inquiry into then-State Department inspector general Howard Krongard.